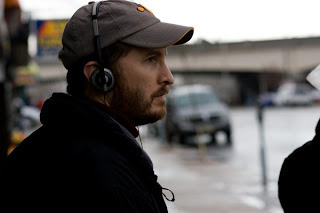 Darren Aronofsky is no longer directing The Wolverine for 20th Century Fox. A statement was released from both director and the studios. THR report that the studios is already lining up replacements to helm the highly anticipated sequel. Hit the jump for the details. "While we are of course disappointed that Darren can’t do ‘The Wolverine’, we also understand and respect his reasons. Having done both ‘The Wrestler’ and ‘Black Swan’ with Darren, we know he is an extraordinary talent and we look forward to working with him on other projects in the future. Hugh Jackman and Fox both remain fully committed to making ‘The Wolverine’. We will regroup and move forward aggressively." Fox are notorious for imposing themselves upon directors and CinemaBlend have reportedly information that makes the situation a little clearer. "but he’s still Aronofsky, and his style requires total control over whatever he’s working in. Movies like Black Swan don’t happen in an environment of studio interference and Darren no doubt knew of all the problems the previous X-Men movies have had. So he attached himself to the project, but didn’t sign on the dotted line until Fox agreed to give him the control he wanted." The site claims that once Aronofsky earned his Oscar nomination, the director asked for total creative control of the film. Fox offered him more money instead, but Aronofsky turned that down and the studio basically told him to go. I'm reading: THE REASON WHY DARREN ARONOFSKY IS NO LONGER DIRECTING [THE WOLVERINE]Tweet this!